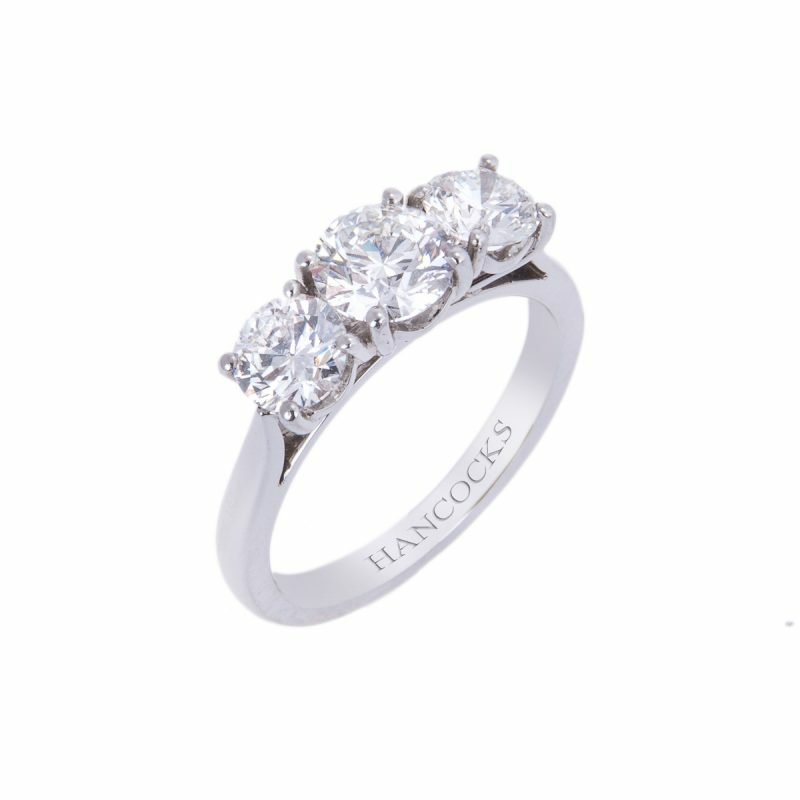 The modern styling of this three stone ring ensures the diamonds sparkle at their brightest next to simple lines of the platinum handmade setting. 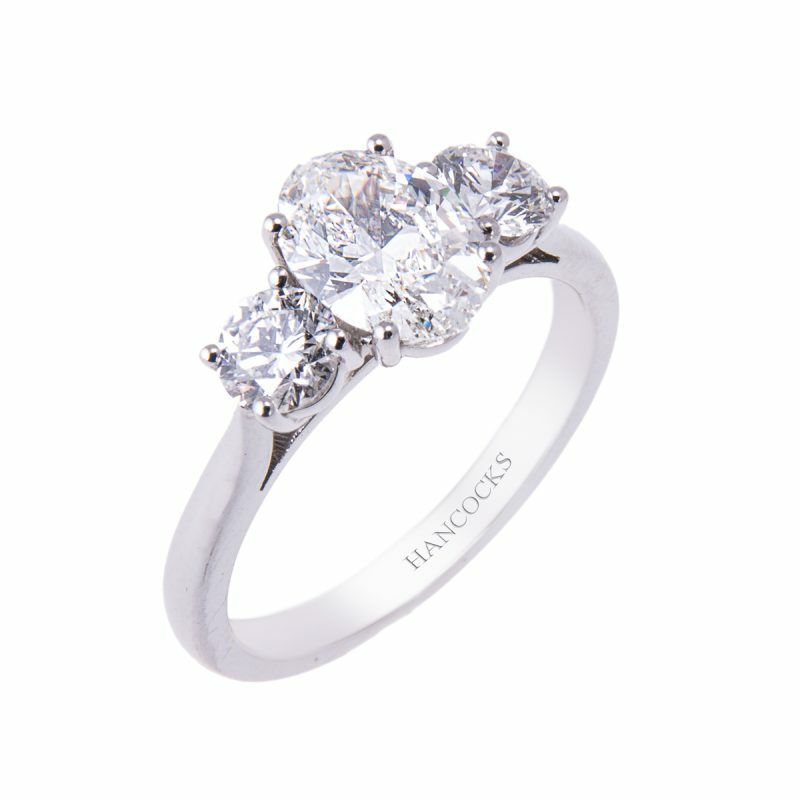 One of our most elegant rings the central GIA certificated 1.20ct oval cut diamond is placed with in a 4-claw setting with a brilliant cut diamond either side. 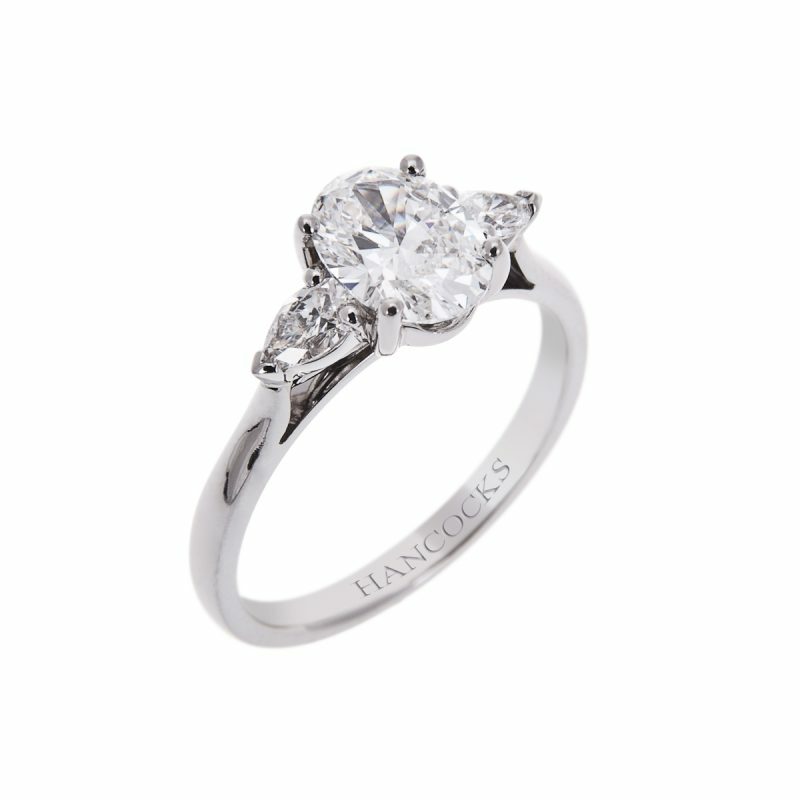 The design ensures that a wedding band will fit perfectly next to this beautiful trilogy ring. Whether chosen as stunning engagement ring or the ideal ring to mark that special anniversary, this ring will be treasured for a life time.